No, that’s not a typo. What we did in 2012 is what we did in 2002, and 1992. Of course, it is usually at this time of year where we talk about “things we did” in the past year. 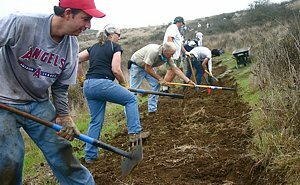 I can point to the thousands of hours of volunteer work that has included trail building, maintenance, and repair on many miles of trails; free mountain bike skills classes for hundreds of local mountain bikers; Youth Adventures and Kids Club rides which exposed kids to the wonders of our mountains from the saddle of a mountain bike; and thousands of hours of advocacy efforts working with land managers, attending public meetings, and analyzing and commenting on environmental and administrative documents to help keep trails open and increase shared use opportunities. But numbers are only part of the story. So much of what we did and continue to do is behind the scenes. 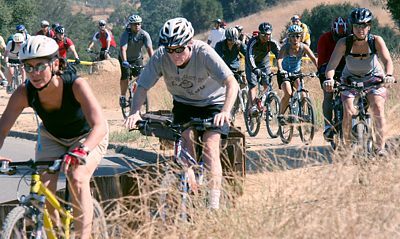 For example, our quarterly meetings with National Park Service and California State Parks land managers maintain a vital and vibrant link between the agencies and the mountain bike community. So when I hear someone say something to the effect of “what has CORBA done lately?” or “CORBA really hasn’t done anything”, I simply smile and say, what we did “lately” was create CORBA 25 years ago. And what what we have accomplished is to have literally kept trails open to mountain biking and opened up many more that probably would not have been designated for bicycles. 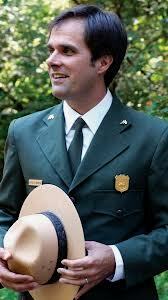 Newly appointed Superintendent of the Santa Monica Mountains National Recreation Area (SMMNRA) David Szymanski, along with several National Park Service and State Park representatives, will be available for a question and answer session this January 26 from 2:00-4:00pm at Paramount Ranch in Agoura Hills. Presented by CORBA, this will be an opportunity to ask questions directly and discuss such issues as the future of the SMMNRA, improving user safety and minimizing conflicts, and creating a backcountry community through stewardship. This is a unique opportunity to meet our top land management representatives one-on-one and get a better sense of what the SMMNRA is going to look like in the next 10-15 years, especially on the brink of the final phases of the new Trail Management Plan. It is important to have a strong showing from the mountain bike community to show our interest and commitment to working with land managers in the SMMNRA. Last month's Ride and Mingle was a great success, with plenty of good-natured conversation, some brief but important PSA’s about trail etiquette, great riding to incredible vista points, and a bunch of happy prize winners. Plus the perfect weather and remarkably clear views made the day extra special. Thanks everyone who came out to allow us to thank you for your support of CORBA. Watch the video! Photos of the event and riders can be viewed at our RAM photo gallery. 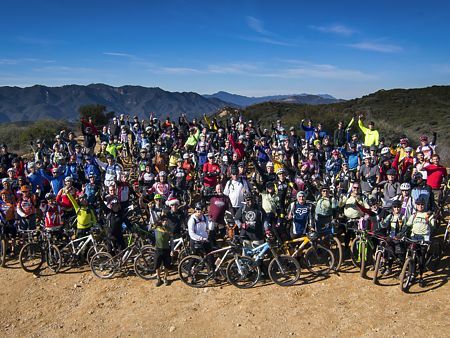 The next Beginners ride will be from the beach side of Sycamore Canyon in Pt Mugu State Park on Sunday January 5. See our Rides Calendar for details and for other beginner-level rides. Many thanks to North Ranch Mountain Biker Michelle for leading these rides! LADIES SAVE THE DATE!!!! SATURDAY, FEB 9TH! GGR (girlz gone riding), will now be having quarterly open rides starting Saturday Feb 9th! A GGR open ride is open to ALL LEVELS especially encouraging beginners. The Feb 9th ride will be in Reseda and an event page will go up here mid January where you will need to sign up for the Open ride. Sign up IS required: https://www.facebook.com/groups/350083721682365/. We will have beginner, intermediate and advanced levels of XC rides that will combine both single track, double track and fire road. LADIES ONLY PLEASE…. Plan is to have 4 or 5 GGR OPEN rides per year in different locations. This is not only a great way to learn the trails, but meet other women your level to ride with! 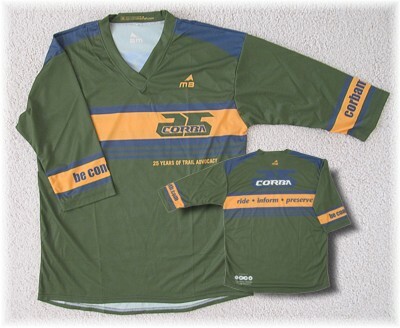 Let’s have a blast and see the GGR jersey’s out in full force! Sign up, helmets, mountain bikes, water and smiles required! 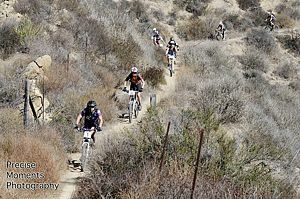 Make sure to sign up on the GGR Face book page for all upcoming events and read our blog at www.girlzgoneriding.com. When the Southern California High School Mountain Bike League was founded in 2008, its mission statement included the following: “Foster a responsible attitude toward the use of trails and wilderness.” How to implement and encourage that part of the SoCal league’s mission is still evolving, but its founder and executive director, Matt Gunnell, is launching a new initiative that could have a big impact on the future of trail advocacy.